Perfect sites for Discover Scuba, Scuba Diver, Jr Open Water and newly certified Open Water divers. 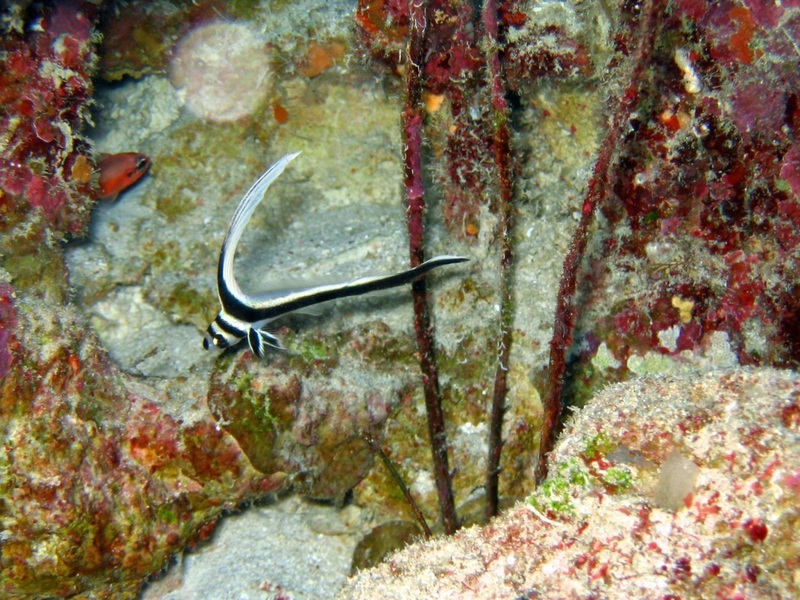 Experienced divers can enjoy relaxing dives with long bottom times. Shore Dive Underground exit of fresh Cenote water creates a halocline in the ocean. Numerous large coral heads have lots of life. 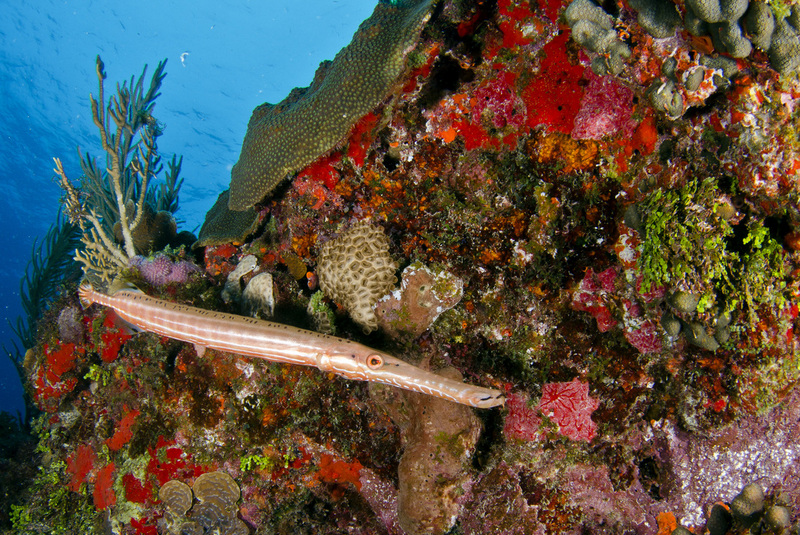 Large barracudas are often spotted. 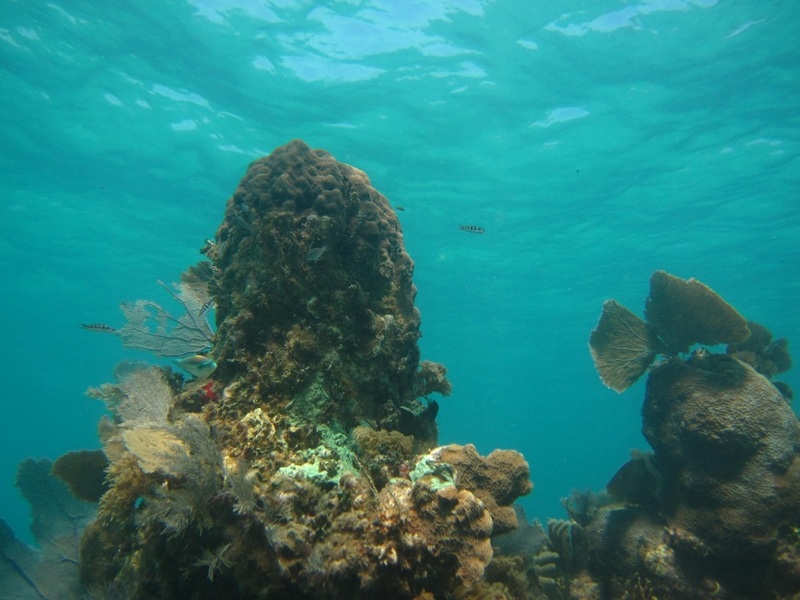 17 feet - Small reef in the National Park north of the town of Puerto Morelos. This reef is a good option for when the winds are too strong to visit other sites. 25 to 30 feet - Low spreads of coral and large schools of fish. This site makes an excellent second dive after a deep dive. Often with a mild current. 25 to 30 feet - Network of large coral heads and a wall of coral from sandy bottom nearly to the surface is often populated by king crabs. Grassy area where turtles are sometimes spotted. 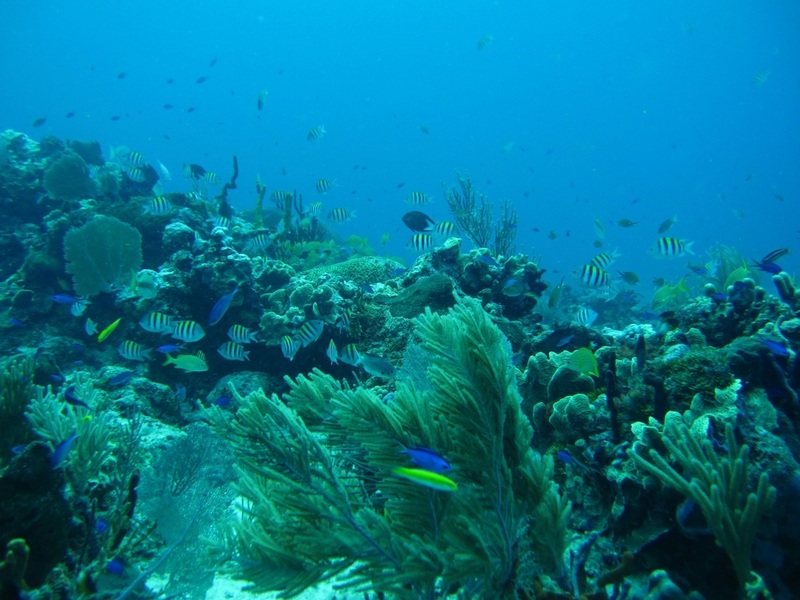 30 feet - Spots of colorful reef in every direction interspersed with sandy areas. Great for site for teaching. 25 to 30 feet - This site inside the Puerto Morelos National Park has beautiful canyons, swim throughs and small caves of coral. Lots of sea life of all types. Excellent sites for photography. Open Water certification or greater required. 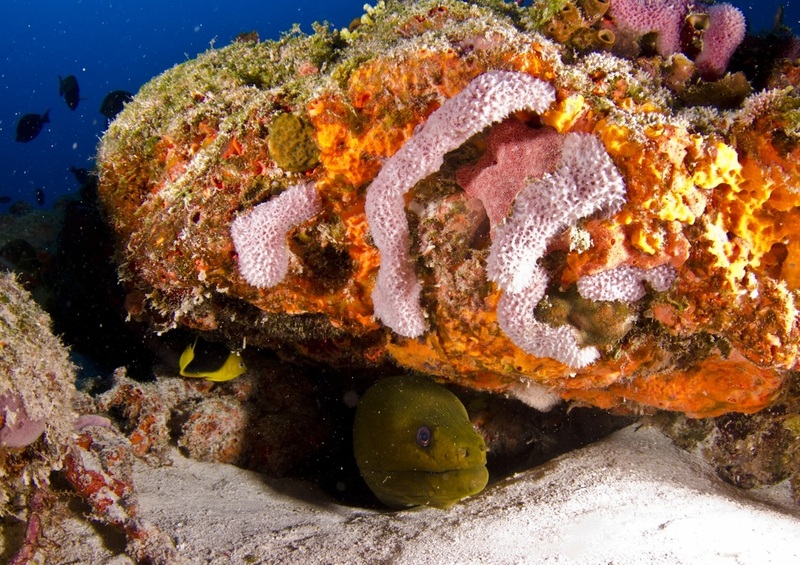 These are some of our favorite reefs with a great variety of life and healthy corals. 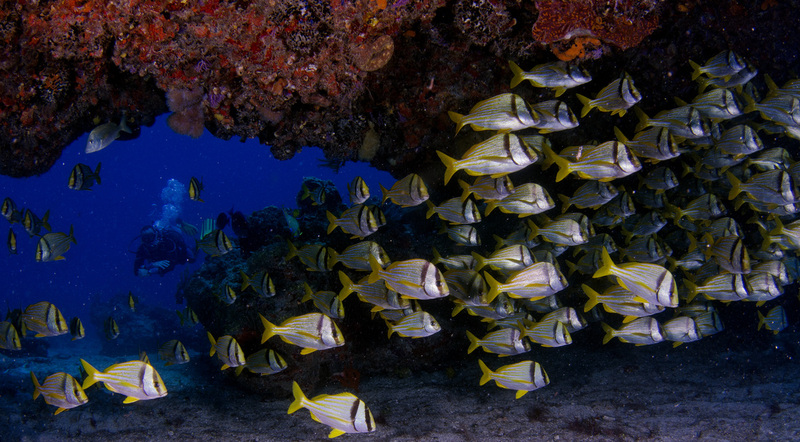 There are almost no Lionfish to be found at these reefs and thus the small fish populations are on the rebound. 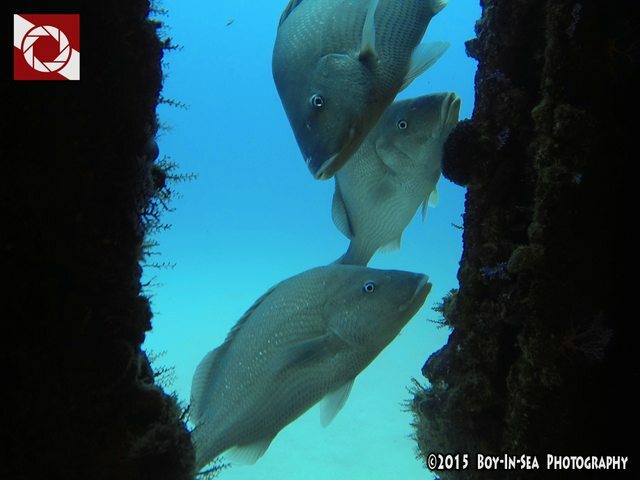 45 to 50 feet - Most requested dive site! 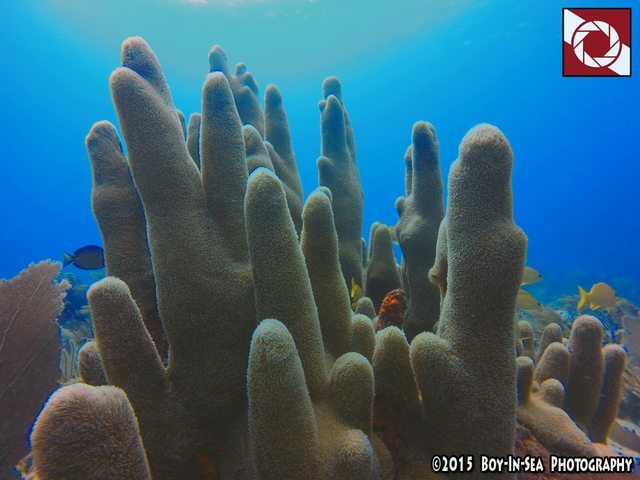 "Fingers" of coral that create canyons to explore. Big schools of pork fish and French grunts. Like diving in an Aquarium. 45 to 50 feet - The far end of Aquarium, just as nice. 60 feet - Bridge of coral near the end of the dive with big schools of pork fish. Open enough to swim through. Excellent dive for photos. 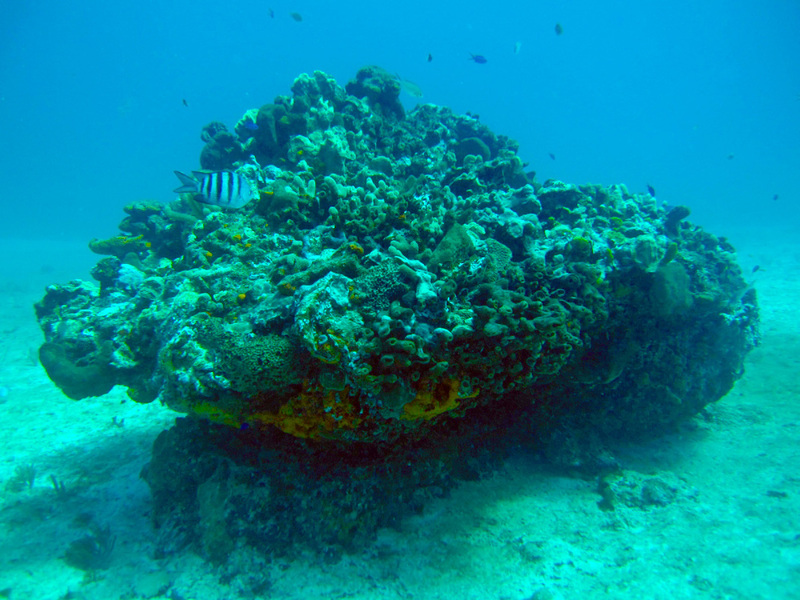 60 feet - "Spots" of coral formations interspersed with sandy areas. 60 feet - Possible shipwreck of unknown origin. This site has a metal structure that hosts much sealife. Often with a strong current. 60 feet - Small caves under the coral where many fish hide. 40 feet - As the name suggests, there are lot of lobsters to be found at this site. 40 feet - Dog snapper are often found here along with many other fish and sea life. 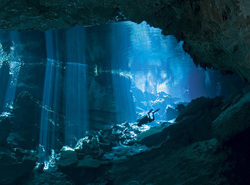 30 to 50 feet - Second site used when diving at Maroma Wall. Top of the wall is 30 feet and bottom is 50 feet. Wonderful variety of fish. 50 to 60 feet - Named for the grouper that live between the spots of reef. Advanced Open Water certification recommended. 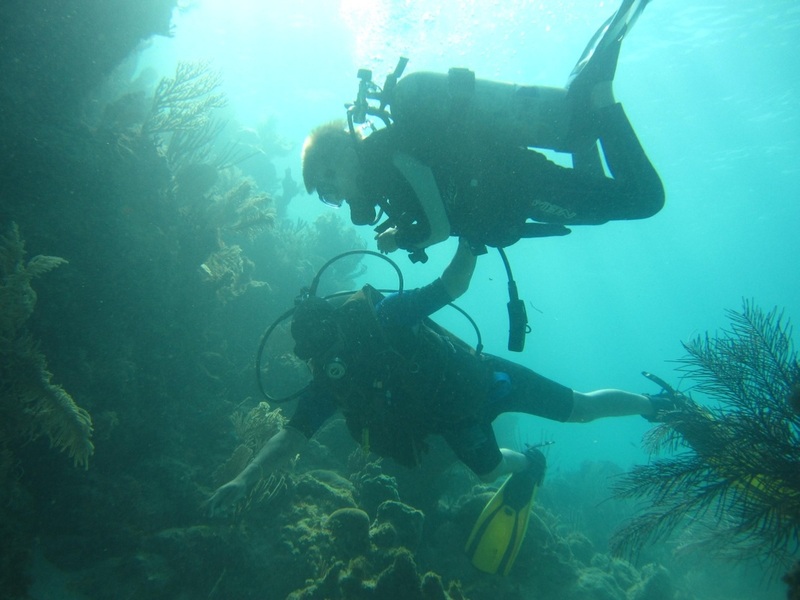 Dives accessible to experienced Open Water divers with log book documentation. Mature Lionfish are spotted at these depths. 70 to 90 feet - This WWII era US Navy minesweeper was donated to Mexico and scuttled in 2000 to make an artificial reef and is now fully encrusted in corals. 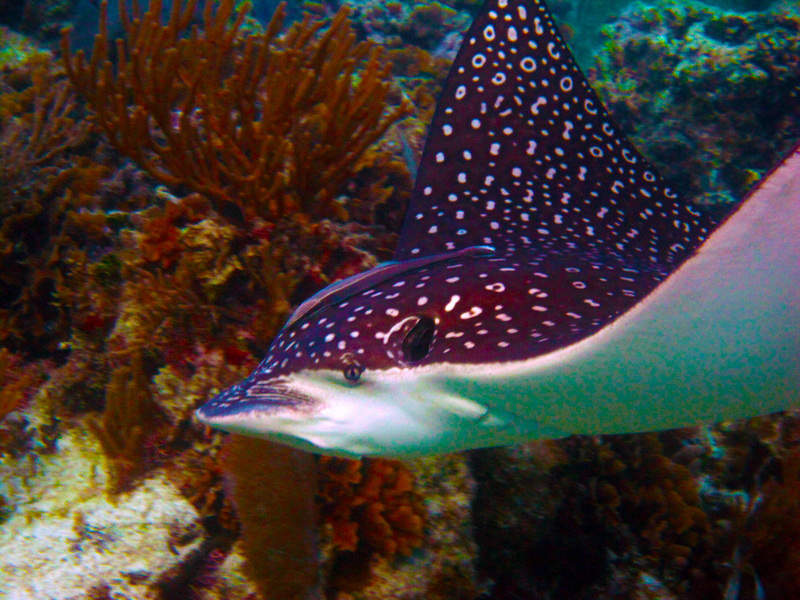 Divers in the winter time are often thrilled to see spotted eagle rays. 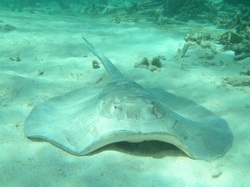 There is resident green moray eel and stingrays in the sand around the wreck. 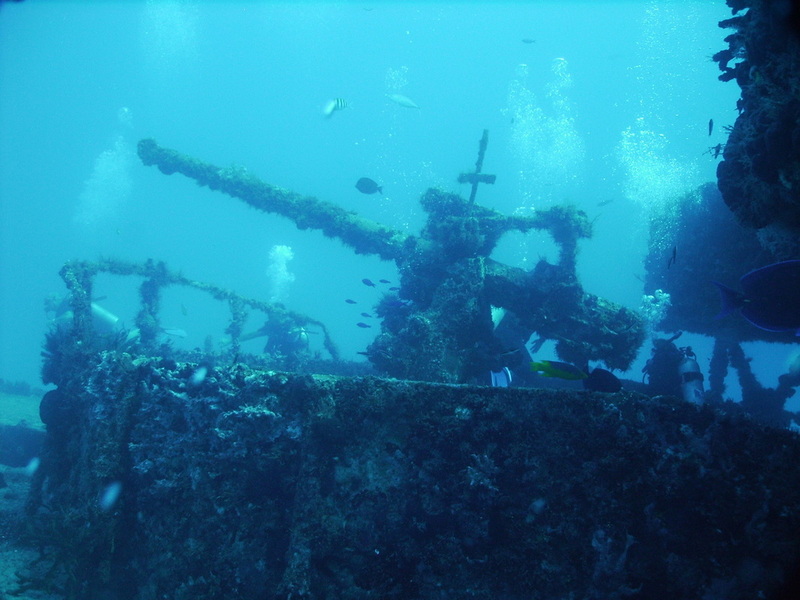 Experienced divers can tour the inside of the wreck with the guide. 80 to 90 feet - Multiple islands of coral to explore. Excellent site for Lionfish hunting. This is the site that dive professionals pay to dive, when they are not working. 100 feet - Named for Alice from the UK that helped us explore it. 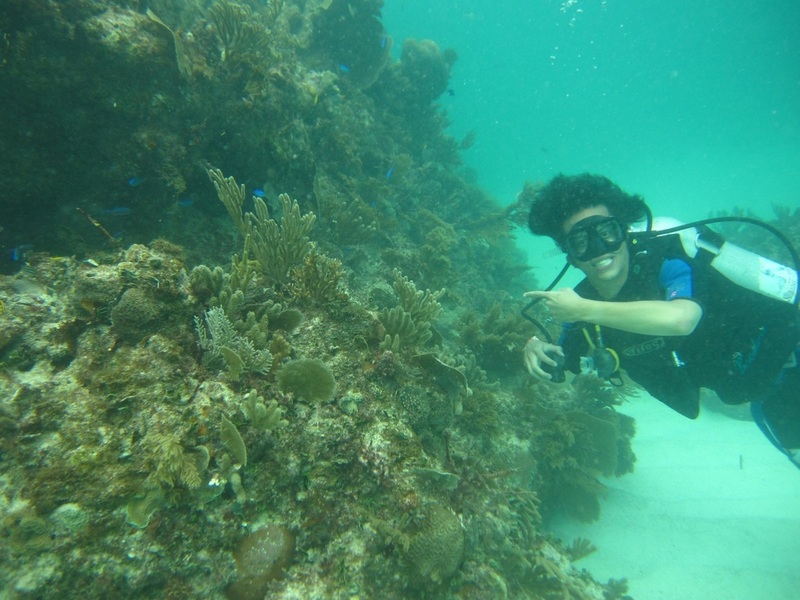 Hills of coral, large green moray eels, sometimes turtles and lots of bigger fish. 100 feet - Alicias reef is just too big to be one dive. This is the second section. 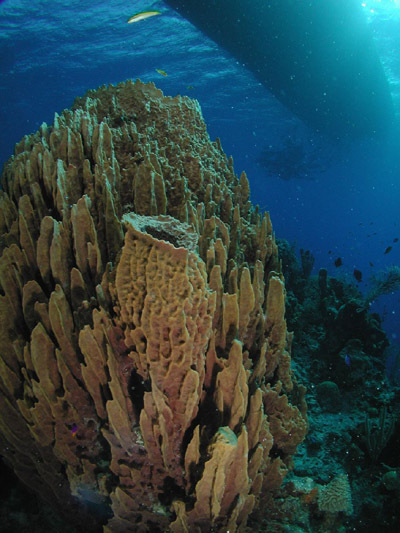 80 to 90 feet - This site is named for the abundance of sponges found here. 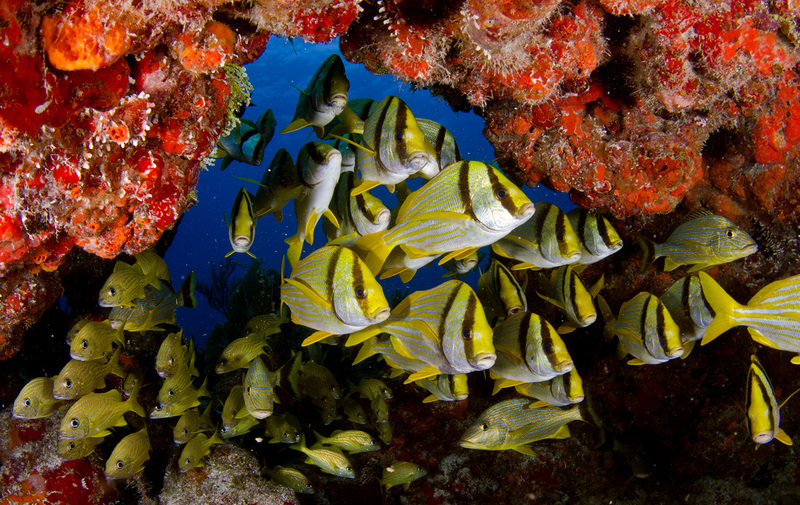 Lots of creatures call this reef home. 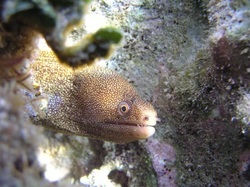 90 to 100 feet - Morena means eel in Spanish. We often see so many eels at this site it can be hard to count them all. 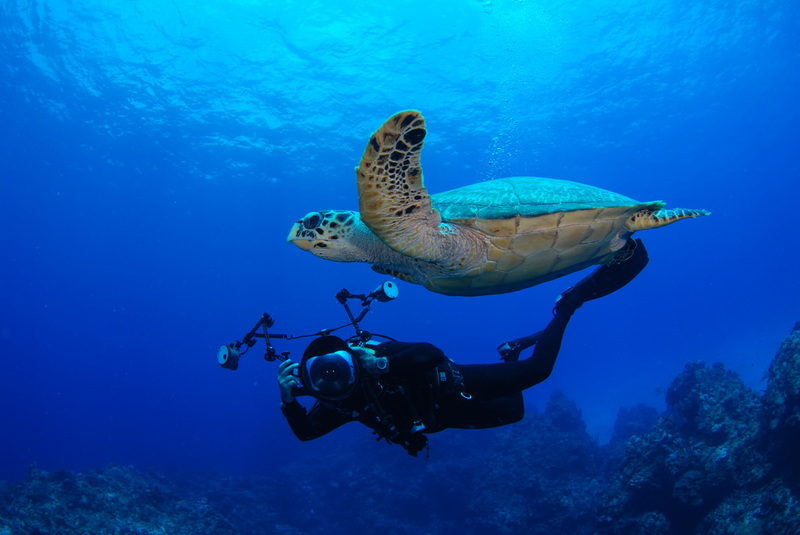 Advanced Open Water dive certification and record of logged dives required. Nitrox certification highly recommended. These are the sites that push the boundaries. Strong currents let you fly along the bottom. Plentiful Lionfish will test your skill as a hunter. The deeper you go the bigger the life gets. 110 feet - Strong current (3 to 4 knots). 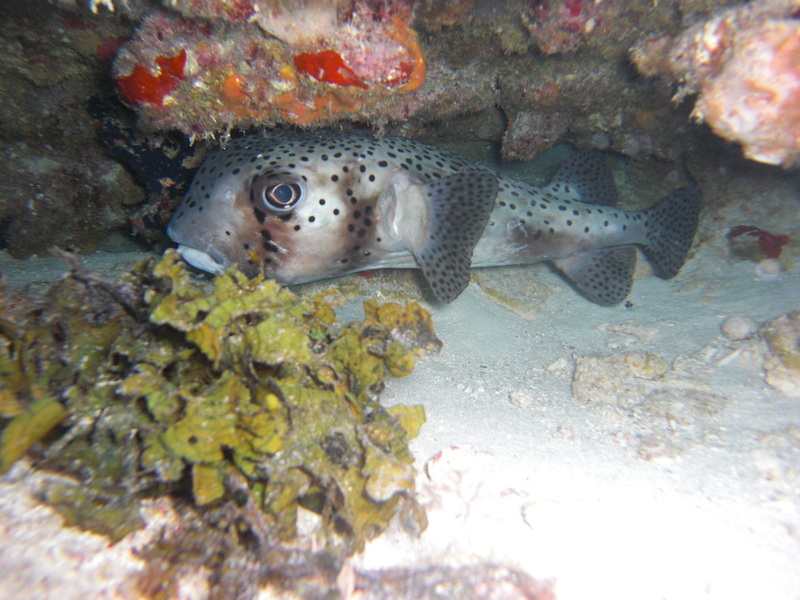 Circular depressions edged in ledges where nurse sharks and lion fish hide. Depressions provide protection from the current so you can explore the caves. Divers then pop back up in the current to find the next pocket. 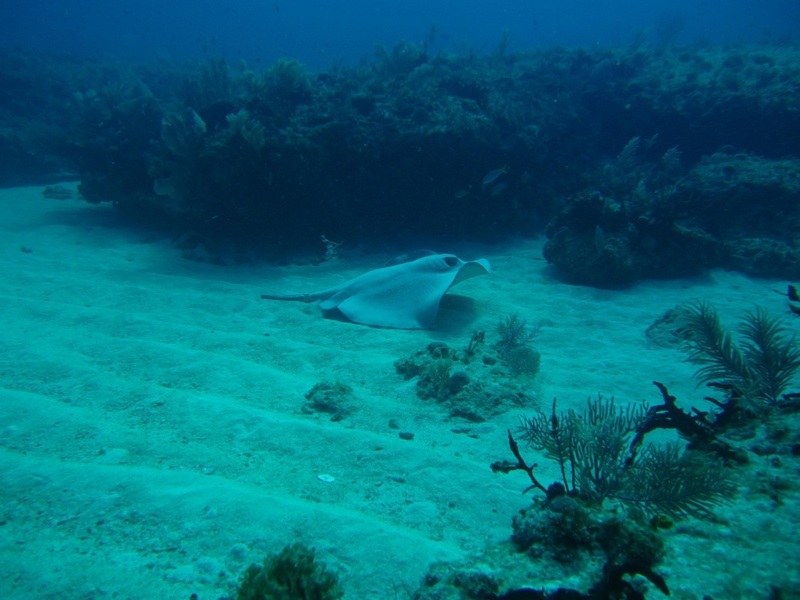 110-120 feet Our newest dive site! Named after the giant Hogfish we found there our first time there. 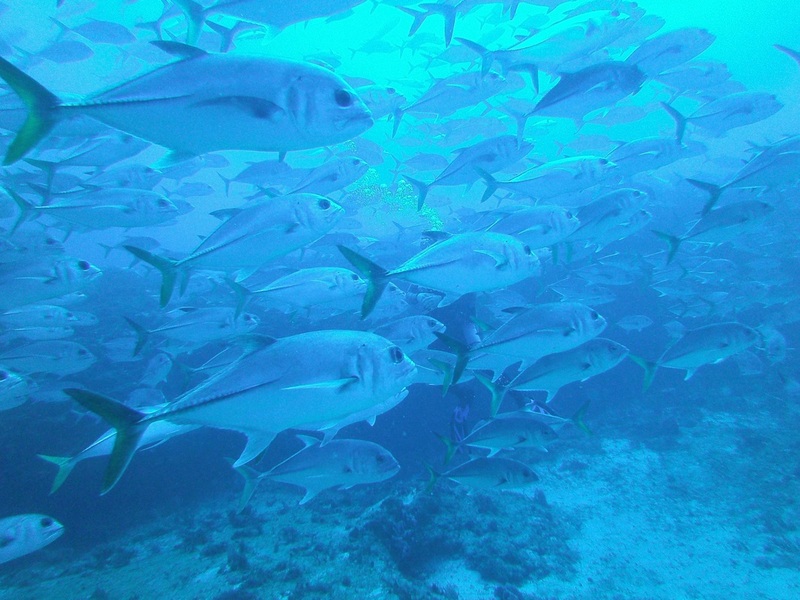 110 feet - Large schools of jacks and nurse sharks under the ledges are almost always in attendance. 70 to 100 feet. This is the one wall dive in Puerto Morelos - 40 minute boat ride is rewarded by this beautiful wall. Large barrel sponges and lots of large creatures. Often a very strong current. Additional fuel surcharge, 4 diver minimum. 130 feet - 50 minute boat ride takes you to a true shipwreck. 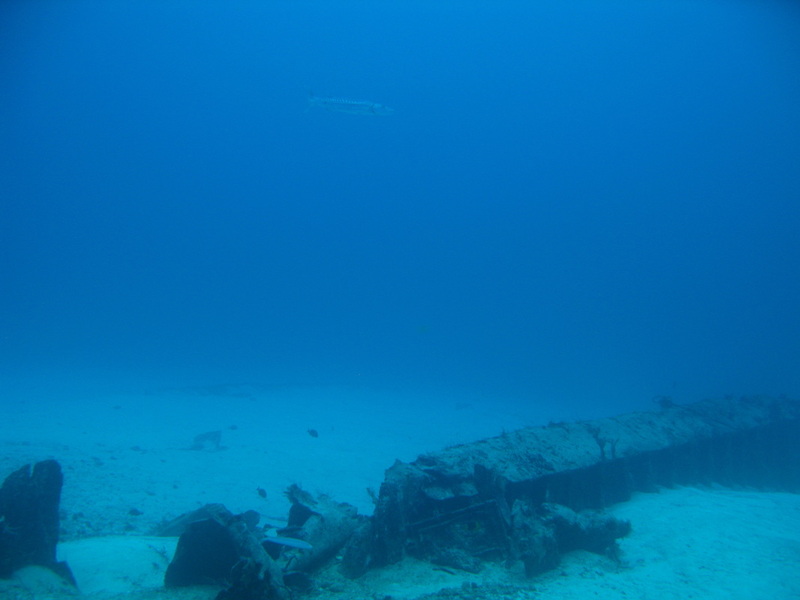 There is no clear history of this wreck but we have found four of its pieces. Additional fuel surcharge, 4 diver minimum. How do we find such amazing dive sites? By exploring of course. 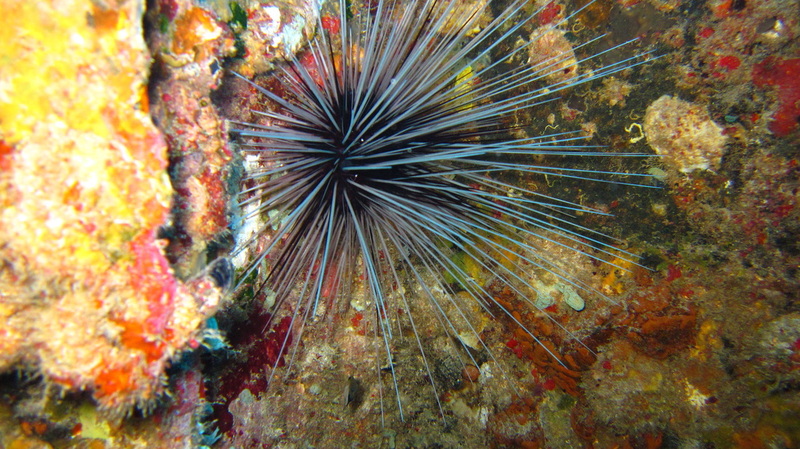 Sometimes we are following GPS numbers given to us by fisherman, sometimes we are pushed off the reef by the current and we stumble upon something new. 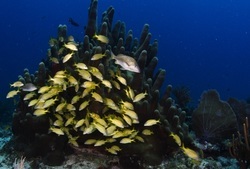 It takes between 3-5 exploration dives to find the best route through the reefs. Join us for the ultimate adventure!